How is it possible we are approaching the second month of 2019... already??? Winter has been here (according to the calendar) for 35ish days, but we didn't feel the full blast of it until recently. Holy Frozen Buttocks, Batman! The temps plummeted, the wind picked up and the snow arrived (and stayed). For starters, one of my most-used hashtags is #optoutside. I hate being cooped up indoors and my body and mind crave fresh air (as well as a constant change of scenery). Even when it's cold, I think the fresh air keeps me healthy because I'm not breathing in an endless supply of stale germ-laden air. None the less, let me Runfess, that I have been enjoying the warmth of my cozy house and have not been venturing outside as much as I usually do. Sorry, not sorry. I am still embracing my off-season, at least in terms of running less. It's refreshing being able to just run and not have a specific plan to follow. None the less, let me Runfess that I really miss my #5at5's with Barb. Not everyone loves rising and running in the wee-dark hours, but I certainly do. It's been extremely cold, the roads have been ice-laden, Barb's been out of town (and nursing a few mild boo-boos), so our weekly early morning adventures have not been happening. I got out for four miles recently (at 5:15 a.m.) and ran my first-ever #5at5 (inside) with Milly....but I want my old routine back. Pronto. Speaking of Milly (she's my treadmill, by the way), I have been hanging with her more than usual lately. With the colder-than-frigid temps, I've been doing most of my early morning power walks with her...but I have had to do my last three runs with her as well. I don't think I've run on the treadmill since maybe (?) late last winter. Ugh. You all know how I feel about that ((insert dramatic eye roll)). None the less, let me Runfess the 'Milly runs actually went alright. Did I mention it was my off-season? That means every run is still an optional run, so I can keep them short. Glass half full. 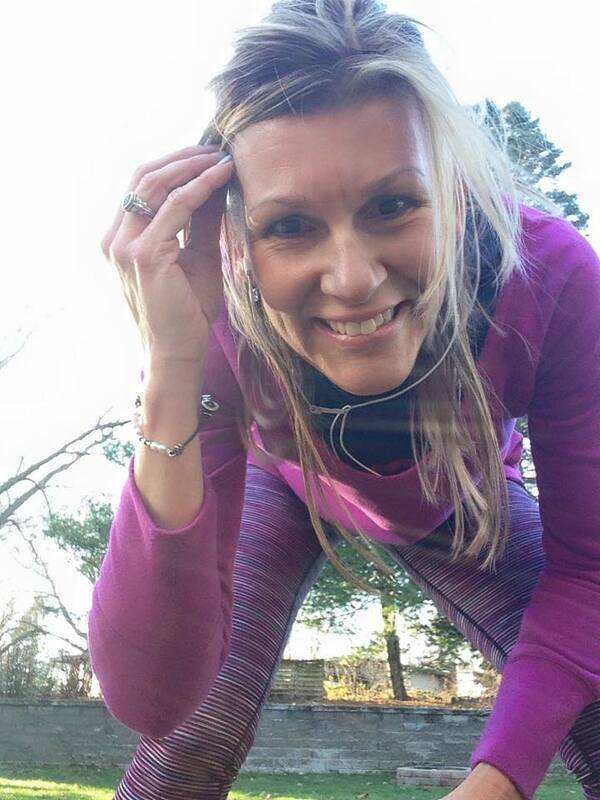 Maybe you have seen the new fitness friend that entered my fitness life in recent weeks? She's a rescued elliptical trainer, named Ellie (thanks to Meranda for the name suggestion), and she's now part of my indoor repertoire of #sweatequity options. Though I have some doubts on the accuracy of the readouts, none the less, let me Runfess, I am quite impressed with the cardio aspect. I'm not an OCD stat gal anyways, so neither the "miles" nor "calories burned" mean much to me. Onward! We got a major dumping of snow on Tuesday night /Wednesday morning. The hubby was out of town, so I was the chief snow-removal technician. We do have a snow blower, but it's the hubby's toy (and I have ZERO desire to operate it). So, I shoveled in the early morning. I shoveled at lunch. And I shoveled after work. All told, I had 2+ hours of pushing, pulling, squatting, lifting, twisting and power-throwing snow. None the less, let me Runfess, it felt quite empowering at the time, but my body felt pretty weary the next morning. Oh well, no regrets! Finally, it's been almost two months since I last had a race. Not a crisis, by any means, but I have been itching to pin on a race bib. None the less, let me Runfess, I may be lacing up for an impromptu 5K on Saturday morning. Barb's place of work is one of the main sponsors, and she invited me to go along with her to the event's recognition reception on Friday evening. The registration costs the same on-site as it did to register online (minus the processing fees); essentially I am out nothing if I choose to opt out (due to the weather, which could be a factor if the sub-freezing temps continue). I'd call that a win-win. Whew! 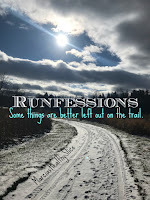 Does it feel good to get all of those Runfessions out in the open! Onward to February! What would you share, if you were runfessing? Any funny stories? Embarrassing moments? Training frustrations? 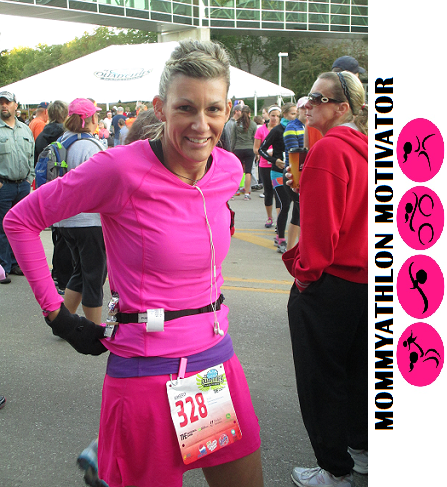 I'm linking this with Marcia for the monthly Runfessions link-up. I'm also linking this with Meranda and Lacey for the Friday with Fairytales and Fitness link-up. My husband has a business conference next month, one he's been to many times (but not recently). Often there is a huge snow storm while he's gone, and yes, I end up shoveling our somewhat large driveway (and the paths for the dogs) myself. I don't at all find it empowering, but I also don't want to be trapped at home. I usually start with my side of the garage, since he's not even there, but I have learned if you let it sit too long it ices over and gets REALLY heavy. Our had to shovel paths for the dogs THREE times (in one day) in our last snow storm -- they just can't break through that much snow. We should shovel a small path for Max in the back yard...but, in all honesty, we really don't need it. We usually walk him, or take him out the front door and give him a minute along the driveway (we have a huge driveway, too). With our recent polar vortex, I'm trying hard not to wish winter away. And I hope the weather is MUCH better by the time I need to fly out of here and head to Tokyo. Flight cancellations right now are off the charts. We had snow two weeks ago, but I think the rest of our precipitation is going to be rain. It was in the teens on Monday and 60 yesterday. I don't even know how to deal with that much of a temperature swing! The temp swings are SO hard! Rain is a game-changer, too....rain in the summer temps is manageable (and sometimes welcome), but not when it's below 60F. YIKES. Shoveling is definitely a hard workout! Last year when we had the "bomb cyclone" snowstorm I shoveled for about 2 hours. The next day I felt like I had taken a boot camp class! Seriously! You feel it everywhere! My hubby likes to run inside in the winter just so he can work up a good sweat! I am with you - I run outside whenever I can. Of course, winter has not been too bad in PA yet. We have gotten mostly rain. Oh gosh...did you see my sweaty pic from the #5at5? I kept reminding myself..."you love to sweat, you love to sweat, pretend you're outside in the summer, you love to sweat..."
I don't love winter, but I can tolerate it. I do think I"d miss it if I lived in a warmer climate. But this sub-freezing stuff is nutzo! I am hating this weather. As you know, I am an outdoor runner. Which means I may have to skip a run. Not an off season since I have a half in Feb Mar Apr and May. so snow and ice, go away!!!!!!!!!!!!!!!! I didn't mind winter until it got so frigid the past 10 days or so. It's hard to enjoy the beauty of it when the wind is blowing like crazy and the ice is so treacherous. we are so lucky in that our neighbor has a snow blower that he uses to clear the sidewalks in front of our house! I wish we had more snow and less stupid ice! Like I said, we have a blower, but I choose to not play with it LOL I fear if I mastered the snow blower, I'd be doing it all the time. We've been lucky with the ice until this recent snowfall; now there's ice under everything. I'm happy I was able to escape to Mobile and enjoy some much more temperate weather for my race! Well, my race for tomorrow got cancelled....so it looks like Milly gets to run with me (again). I am thankful for the sun we've actually had this winter, however, we did have some wind a few days ago it it did make everything feel that much colder! It's pretty mild now so I'm hoping it stays that way....fingers crossed. I know winter hasn't been in full effect for very long but I'm already over it. And that shoveling is one heck of a workout! Your winter weather is no joke! Hopefully you aren't cooped up inside for too long but at least you have some great tools at home! 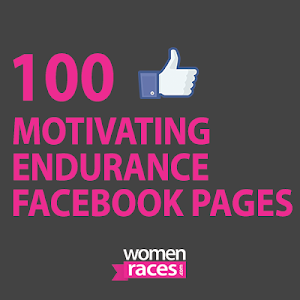 I'm over the off season personally and feel like I need the motivation of a race to train for! I runfess that the weather is making me feel a bit stabby at the moment. And ... like I don't want to do anything but curl up under a blanket!!! Blankets are most appealing this time of year! You seem to be taking your weather in stride. We've had one 10.5" snow and one 2" snowfall in 2019 - a lot more than we had all winter last year. I think our snow is done for awhile. The wind...not so much. I have to admit, I am loving winters here. Since I am spending it in canada.